Many professing Christians tend to leave out the Old Testament when they are searching for a certain Bible truth, and yet the Old testament is part of the everlasting gospel of Christ Jesus, and we cannot fully understand Bible truths unless we also study what the Old Testament has to say. Speaking in tongues is no exception! We like to take in the whole council of God here, so to be able to get a clear understanding about Bible tongues, we need to start in the Old Testament. Study of the Old Testament is rejected by many professing Christians, because it's not as "exciting" as the New Testament, and doesn't give us the "nice feelings" the way the New Testament does. But it is vital that we do include the Old Testament to get the whole picture. So what does it teach us about speaking in tongues? So right from the start in the book of Genesis, we can see that the word tongues simply means languages. People speaking in their own tongues were basically speaking in the language of their land. Obviously before Babel, everyone spoke the same tongue (language), so there wasn't any problem communicating with each other. But this caused a problem with God, because man got together and started doing great things and instead of dwelling with God in the beautiful countryside that He had made, they decided they wanted to build cities for themselves to dwell in, and a great tower. Do you see what God did? He confused their tongue (language), so that they could not communicate with each other, and the building of the great tower had to stop, and mankind became scattered across the earth amongst their own tongue (speech). Now a long time after this, when God had brought the nation of Israel out of Egpyt, and they had disobeyed His commandments, look at what God said would happen ..... Deuteronomy 28:49 .....'The LORD shall bring a nation against thee from far, from the end of the earth, as swift as the eagle flieth; a nation whose tongue thou shalt not understand.' ..... 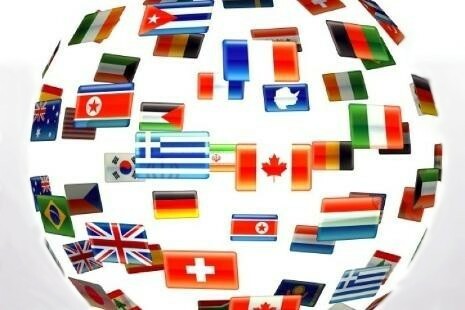 So at this time, the world was now filled with people who spoke different tongues (languages). And because of the Israelites rebellion against God, He decided to bring another nation against them, whose tongue they would not understand. Now this other nation, would they be speaking in some "heavenly" ecstatic utterances? No, of course not. They would simply be speaking in another language. Just like the different langauges (tongues) we have all around the world today. Can there be any misunderstanding about the word tongue in the Old Testament? What would speaking in tongues mean in the Old testament? It simple means speaking in the language of the nation you are from. The tongue (language) that God gave us after the tower of Babel. So if you applied this to the gift of tongues in the New Testament, what do you think it would mean? Would it not mean that God would give His people the gift of speaking in tongues (languages) to be able to communicate with different nations, for the spreading of the gospel message of Christ Jesus? To find out the Bible truth about speaking in tongues and God's purpose for the gift of tongues, see The Gift of Tongues.